Review: 2013-05-25, nice and close fight with some spectacular exchanges in the last part of the bout: Carl Froch vs Mikkel Kessler II gets three stars. Carl Froch (30-2-0, 22 KOs) entered as the No.2 super middleweight in the world while Mikkel Kessler (46-2-0, 35 KOs) entered as the No.4. In their first fight Kessler defeated Froch by unanimous decision (October 24, 2010); this second fight is valid for the IBF and WBA Super World super middleweight titles. Watch the video! Review: 2010-04-24, even though, for us, it was not a candidate for fight of the year 2010, the first fight between Mikkel Kessler and Carl Froch can be considered a classic, however, it was very close to get four stars thanks to a great performance by both boxers, some tough exchanges and an exciting ending! The undefeated Carl Froch entered the fight with a record of 26-0-0 (20 knockouts) while Mikkel Kessler had a record of 42-2-0 (32 knockouts). Kessler vs Froch was valid for the WBC super middleweight title (Froch’s third defense) but it was also scheduled for the Super Six World Boxing Classic: super middleweight boxing tournament won by Andre Ward. The rematch Froch vs Kessler II is scheduled to take place May 25, 2013 at the O2 Arena in London (while their first fight was held in Denmark, homeland of Kessler). Watch the video! 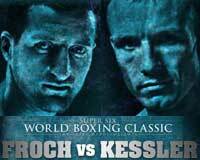 Review: 2012-12-08, nice fight with three knockdowns between Mikkel Kessler and Brian Magee: three stars. Mikkel Kessler (45-2-0) entered as the No.5 super middleweight in the world while Brian Magee (36-4-1) entered as the No.16. 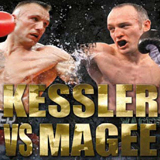 Kessler vs Magee is valid for the WBA World super middleweight title. Watch the video! Review: 2012-05-19, with both fighters went to the canvas and thanks to one of the best Knockouts of 2012, the fight between Mikkel Kessler and Allan Green gets four stars. Mikkel Kessler (44-2-0) entered as the No.6 light heavyweight in the world while Allan Green (31-3-0) entered as the No.19. Kessler vs Green is valid for the vacant WBC Silver light heavyweight title. Watch the video! Review: 2011-06-04, Kessle returns to battle after more than a year against Mehdi Bouadla (former IBF International super middleweight champion) and the fight is exciting, with four knockdowns: four stars. 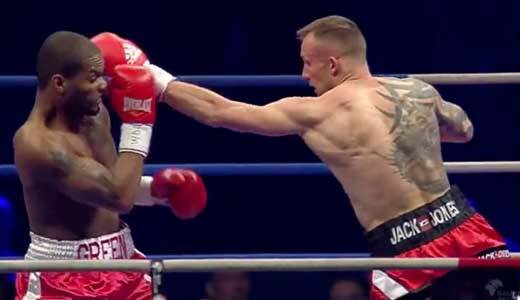 Mikkel Kessler entered the fight with a record of 44-2-0 while Mehdi Bouadla had a record of 22-3-0. 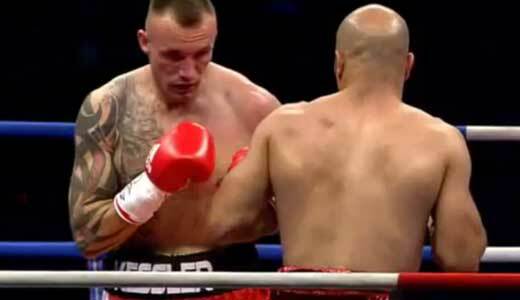 Kessler vs Bouadla is valid for the vacant WBO European super middleweight title. Watch the video! Review: 2007-11-03, Joe Calzaghe vs Mikkel Kessler was a very exciting fight (between two undefeated boxers) valid for the WBA, WBC and WBO super middleweight titles. Calzaghe (43-0-0) had won his WBO title in 1997 (against Chris Eubank) and had already defended it twenty times, but he was 35 years old and Kessler (39-0-0), who was younger than seven, had the potential to inflict the first defeat to the “Italian Dragon”…but in front of more than 50,000 spectators, Calzaghe threw more than 1000 punches in twelve rounds (against 585 of Kessler). Watch the video!